I took part in 2nd Climate Chance World Summit 4 days of recommendations for non-state actors, time for action. Really a Climate Chance action opportunity (operative), with United Nations normative Climate Action Agenda it’s a match made in Heaven. The success of Climate Chance 2017 offer a mandate to go ahead and fulfil an important role, the urgency of implementation of the SDGs together with the New Urban Agenda. Debated was a proposed platform for Multi-actors governance and Multi-stakeholders to carry out this future operative role. An independent UN Partner for Decentralized Urban Cooperation to Assess and Enhance Strategic Effectiveness of UN perhaps? The Climate Chance World Summit 2017 has just ended in Agadir, Morocco. With 5,000 participants from 80 nationalities, this summit represents a real success and reinforces the Climate Chance approach as a framework for enhanced cooperation between non-State actors. #ccagadir2017: Launch of local and regional elected representatives of Africa to mobilize African civil society. Please find here the text of the Agadir Declaration by climate actors, adopted at the closing plenary of the Summit this Wednesday 13 September. Entitled “Stepping up climate action and goals together” w/ the #MarrakeshPartnership #PlanetClimate #OnePlanetSummit, this declaration, which follows on from the two previous declarations from the “Climate and territories – Lyon, 2015” and “Climate Chance – Nantes, 2016” Summits, is not meant to be yet another declaration of intent, but rather a specific roadmap to backup and roll out concrete action more widely in local territories and consolidate the frameworks for dialogue between non-State and national government climate actors, particularly in connection with the United Nations Framework Convention on Climate Change. 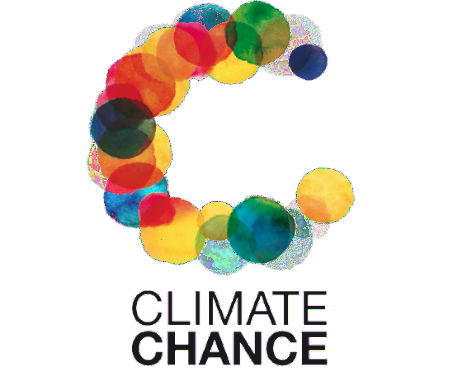 Climate Chance place particular emphasis on the importance of the facilitative dialogue planned for 2018 and the need to reassess States’ ambition as set out in their voluntary contributions (NDCs), which could draw on the mobilization and capacity for action of their climate actors who are still frequently ignored or undervalued. We agree with its points – content and are proud to be a signatory for the “Déclaration d’Agadir / Climate Chance World Summit of climate actors” to be presented at COP23 etc. – Key point for this non-State actors’ roadmap: to get ready to contribute to the evaluation of the 2018 voluntary contributions (NDCs), each State will present to the Paris Agreement framework. – Being an operational stakeholder and partner with non-governmental actors, civil society and private sectors at all levels for urgent implementation. Wouldn’t we prefer to see purpose-driven agenda, with one purpose to sustain, all urban human activities.. The declaration focuses especially on the challenges of adaptation, access to funding and the importance of the thematic coalitions and sectoral plans of action. It stresses the willingness of non-State climate actors to work more closely with the scientific community pending the next IPCC reports and pays homage to the mobilization of American elected representatives, businesses, researchers and NGOs through the “We are still in” initiative.